SEE WHAT PAULA’S CLIENTS HAVE TO SAY ABOUT THEIR EXPERIENCES WITH HER! Contact Paula Raymond – Killeen real estate agent & Killeen realtor for information about buying or selling a home in the Greater Fort Hood, Killeen and Temple/Belton areas. Paula Raymond – Killeen real estate agent is a member of the National Association of Realtors and has over 11 years experience in the market. 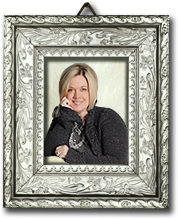 Read more about Paula Raymond – Killeen real estate agent HERE. 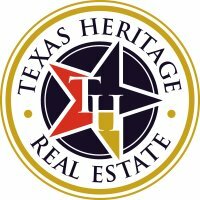 Texas Heritage Real Estate was opened in 2005 to serve the needs of our friends at Fort Hood and surrounding areas. We proudly offer assistance to military families moving to or from the Fort Hood and Killeen areas. Whether you are buying or selling a home – we have the resources, knowledge and experience to help you with a successful real estate transaction. Our marketing reaches world-wide which means more exposure for listings – which in turns means more money for sellers. Our keen negotiating skills serve our buyers well when it comes to securing allowances for closing costs, upgrades, repairs and other concessions from sellers and their agents. This allows for a very low-cost move in in most cases when buying a Killeen area home.